I love menu planning because it saves time and money. Well, at least when you remember to buy everything on your grocery list. I’ll be honest, I was a little preoccupied this week because we’re heading out to see fellow Uncharted author Sarah this week! So I might not have been as focused as I should have been while meandering the isles of Jewel. 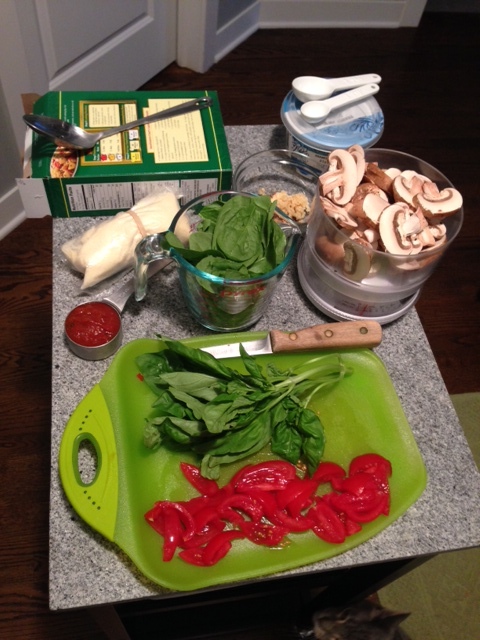 Thus I missed out on my green beans for a pasta dish I was supposed to make on Monday evening. 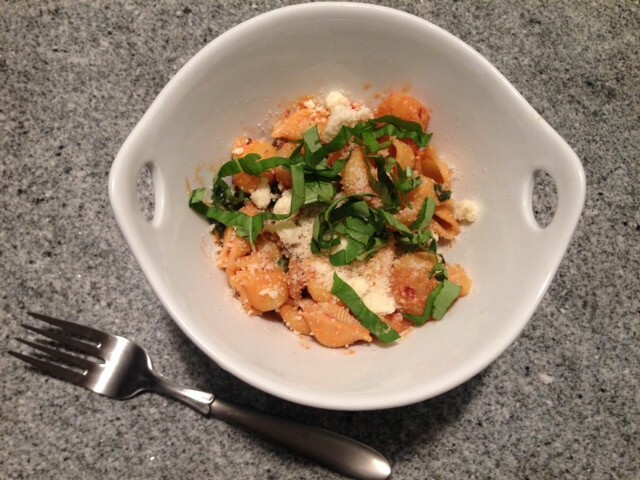 Instead I headed out to the garden for the basil and looked closely in my fridge (time to get rid of the extra spinach) to put together another favorite pasta dish with its own twist: deconstructed pasta with spinach. Bring large pot of salted water to a boil. 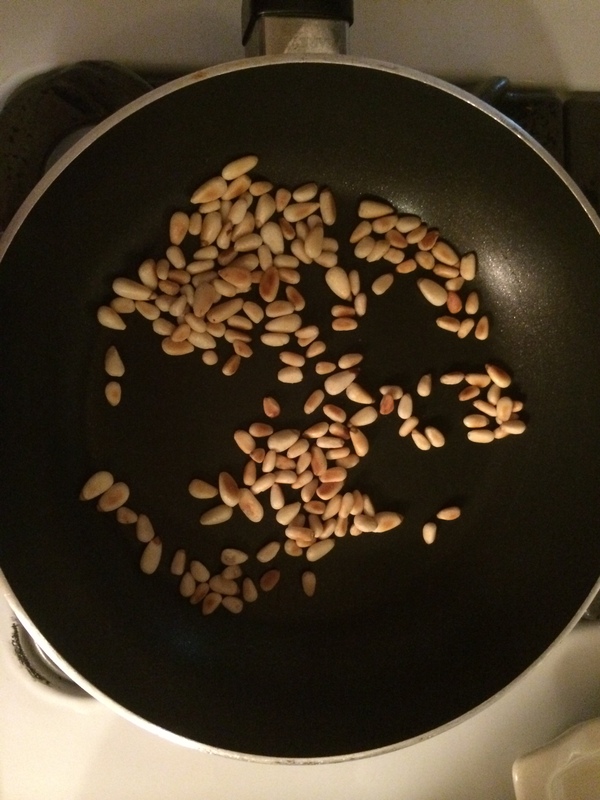 Meanwhile, toast the pine nuts in a 10-inch skillet over medium-low heat, stirring frequently, until golden in places, about 5 minutes. Pour onto a plate and set aside to cool. When the water boils, add the pasta and cook accordingly to package directions until al dente. While the pasta is cooking, gently heat the olive oil and sliced garlic over low heat in the same skillet used for the nuts, stirring frequently, until the garlic starts to turn golden, 4 to 8 minutes. Remove from heat and stir in 3⁄4 teaspoon kosher salt and 1⁄4 teaspoon pepper. Be sure the heat is on low so you don’t burn your garlic! 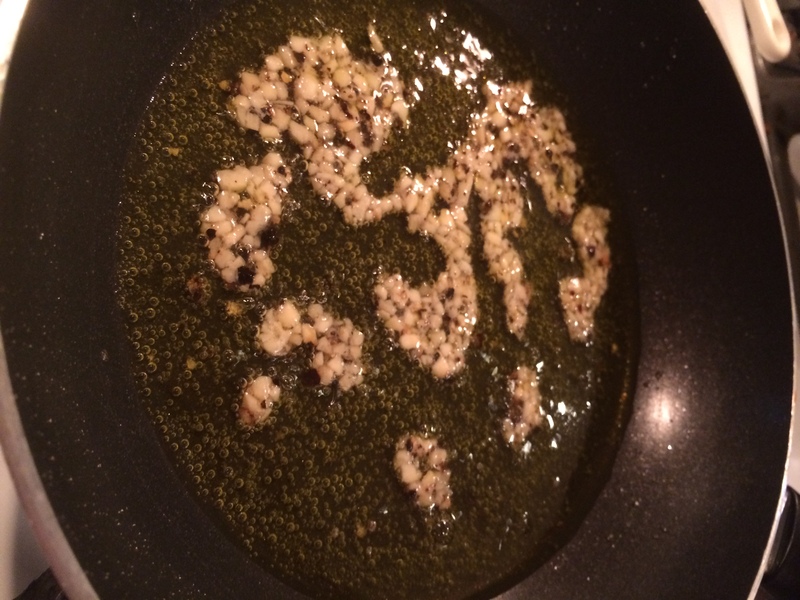 When the pasta is done, scoop out 1⁄2 cup of the cooking liquid and reserve. Drain the pasta and return it to the pot. Pour the garlic and olive oil over the hot pasta and add spinach. Toss mixture. Pour the reserved pasta water into the skillet, swirl it around and pour it over the pasta.Toss well. Add the pine nuts and cheese and toss again until thoroughly mixed. Transfer to a serving bowl and let cool for 5 minutes. 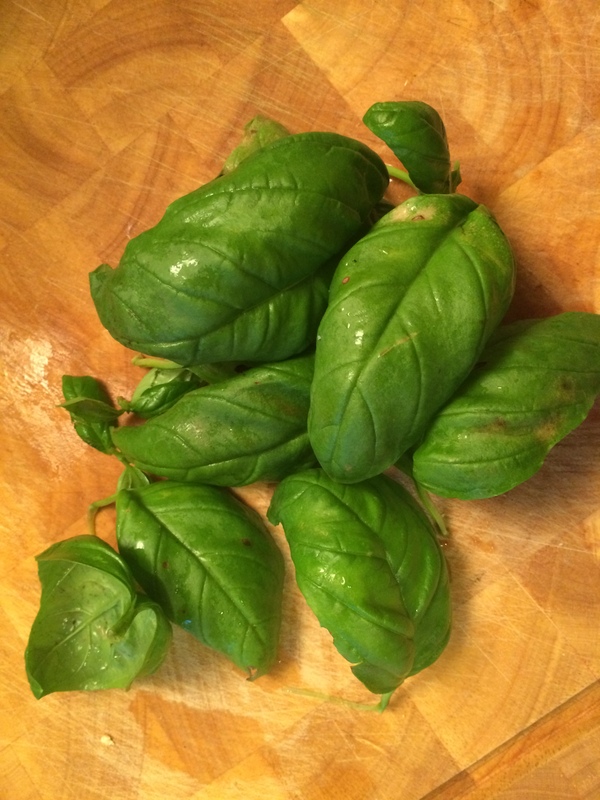 Then, just before, serving toss in the basil. Pass extra cheese around with a grater for those who want more. 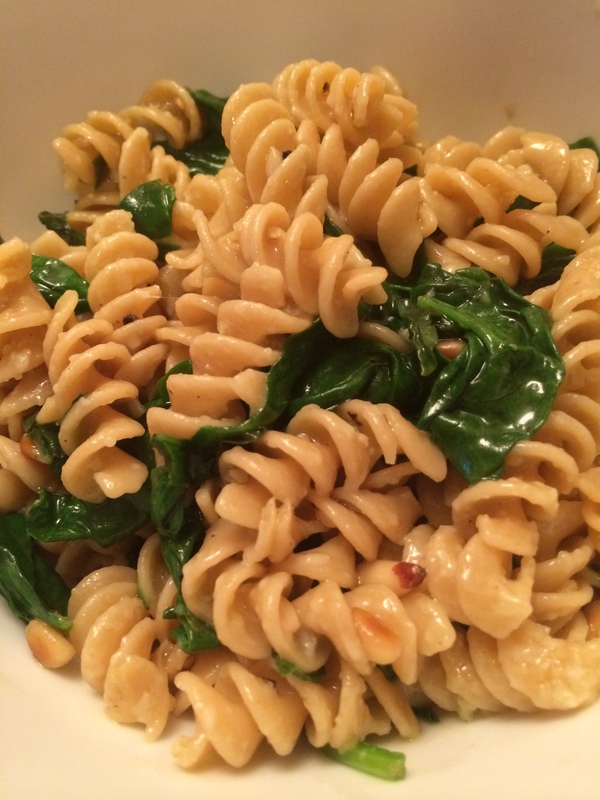 Enjoy this simple, easy dish!